Press Release: Dr. Scott Runnels announced today the opening of his new facility, the Runnels Center Outpatient Plastic Surgery and Clinics. The Runnels Center is unique for its privacy and convenience. It consolidates three services into one convenient location. At the Runnels Center, Dr. Runnels and his staff provide the utmost in patient care, privacy, and comfortable recovery. The Runnels Clinic is the setting for patient consultation and education, as well as follow up visits after a procedure. Any questions or concerns can be addressed during a personalized consultation with Dr. Runnels. With a stylish and spacious waiting area and private entrance, the Clinic is comfortable and easy to access. 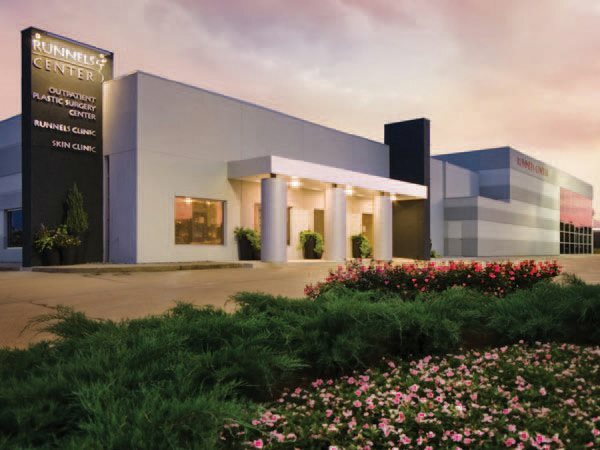 The Runnels Outpatient Surgery Center is where all procedures are performed, from body contouring and breast enhancement to reconstructive surgery and facelifts. The Outpatient Surgery Center has two certified, state-of-the-art surgery suites, with a spacious recovery area, along with its own private entrance and waiting area. SKIN the Spa, a total skin care clinic, offers everything from luxurious spa treatments, facials, and chemical peels to microdermabrasion, Botox, and Juvéderm. Skin cancer screenings and mole removal are also available. Dr. Runnels specializes in the sensitive process of minimizing damage from skin cancer removal. The Runnels Center offers a complete range of cosmetic services, as well as privacy and convenience not found in a traditional hospital setting or a busy medical office complex.